Our recently completed full day shoot for “ifa united i-tech” of Germany, hits the floors of the World Ophthalmology Congress 2010 in Berlin tomorrow. During numerous symposia and courses leading experts in the field of eye care will present the most recent scientific knowledge and the latest research findings. 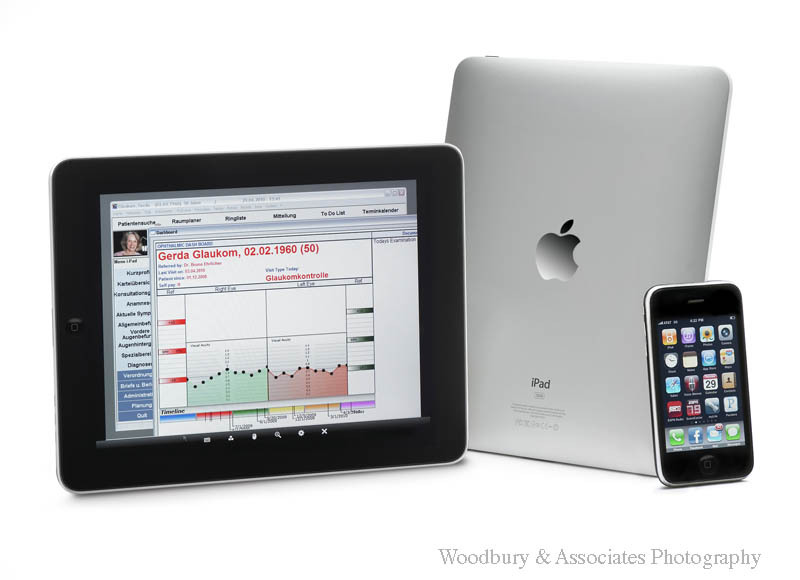 Among these will be ifa's presentation of their State-of-the-art EMR (Electronic Medical Records) SmartScreen technology for the iPad. Our photo session for ifa was unique, since all the screens were shot live on the actual iPads only hours after the software was configured. 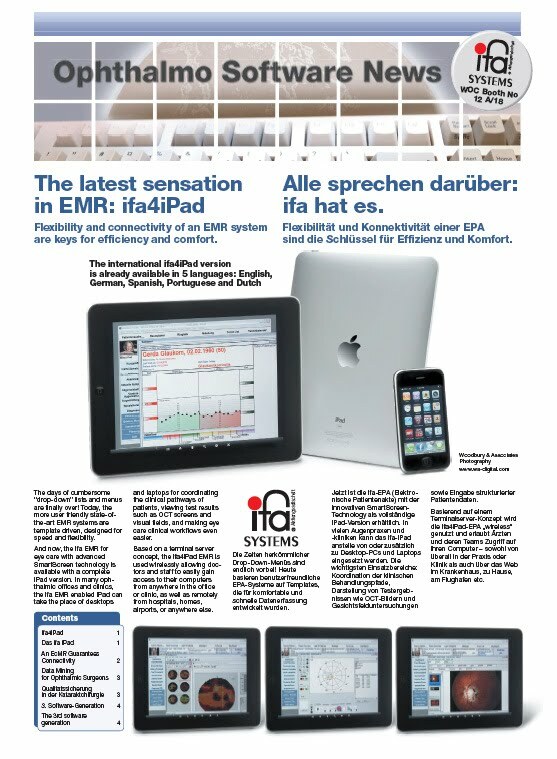 Less than 20 hours after the shoot we delivered 500 full color spec sheets to the client for their product announcement and the following image highlighted the "Top News" page of their international website, as well as the 8800 copies of the ifa newspaper for the Conference in Berlin.